We have the ability to rapidly and accurately diagnose illnesses or conditions right here in our practice. 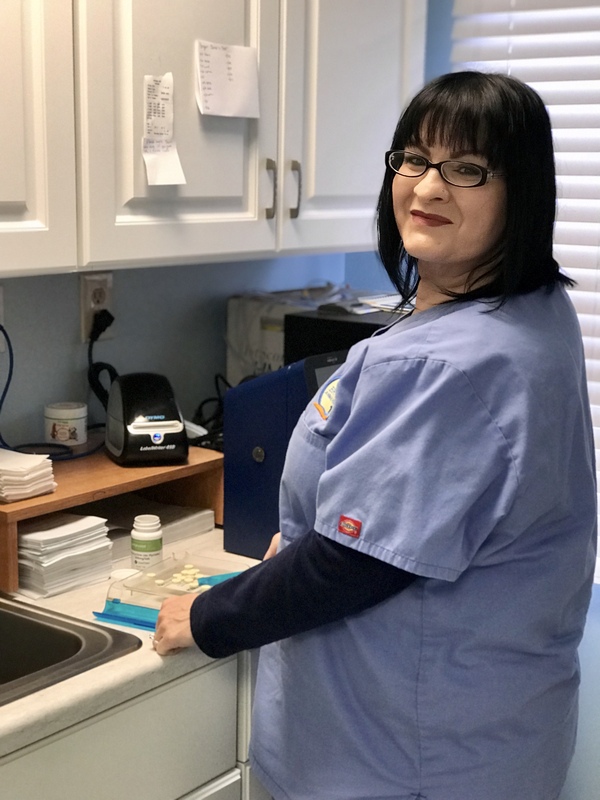 We provide extensive diagnostic services such as digital radiography, ultrasound, and comprehensive in-house blood testing. Radiographs (x-rays) are one of the most important diagnostic tools in veterinary medicine. They allow us to view the shape, size and location of organs inside your pet's body. Radiographs are extremely helpful for diagnosing and monitoring many medical and surgical conditions. An x-ray can detect a fractured bone, tumor, heart problem and locate an obstruction or foreign body in your pet's stomach or intestine. X-rays and Ultrasound are often utilized together for an even more accurate diagnosis. Long Branch Animal Hospital has a new, state-of-the-art, digital x-ray machine. Compared to x-rays produced by a traditional machine, the quality of digital radiographs is much better. Digital x-rays are produced quickly and immediately displayed on a computer monitor. 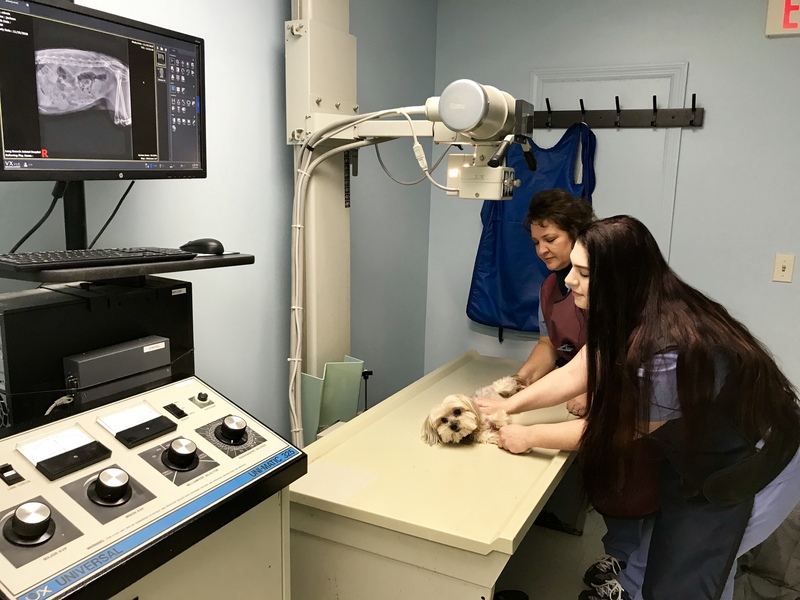 Our sophisticated digital x-ray equipment produces clear, detailed images that allow our veterinarians to make a more rapid and accurate diagnosis. Because digital x-ray images can be saved on a computer, they can be transmitted quickly by email to a specialist if a referral or second opinion were necessary. The images can also be saved to a disc and given to you. require anesthesia or sedation in most cases. This test is typically done after blood tests, x-rays, or a physical examination indicates a possible problem. the liver in greater detail and identify specific lesions or masses. An echocardiogram is an ultrasound of the heart, and an important diagnostic test in assessing animals with heart disease and developing a treatment plan. Ultrasound allows us to evaluate internal organs without surgery. 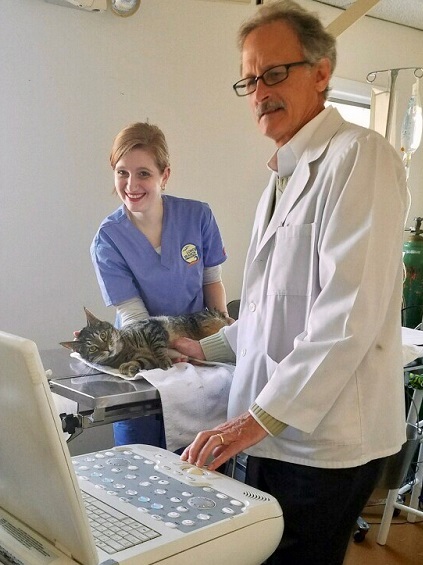 Using an ultrasound image as a guide, biopsies or samples of fluid can often be obtained without surgery allowing your pet to go home the same day. Long Branch Animal Hospital has the capability to perform ultrasonography, ultrasound guided procedures and echocardiograms. Our extensive in-house laboratory helps us gather information that is critical to your sick or injured pet. We have the technology for extensive diagnostic testing, allowing your pet to receive appropriate treatment in a timely manner. Our laboratory is capable of processing numerous blood tests, including chemistry profiles. We also process pre-anesthetic blood tests, which are necessary before your pet undergoes anesthesia and surgery. We are also able to submit tests to a local reference laboratory when necessary.